Mice to Meet You was a submission to the 2017 Global Game Jam: Waves. A two player, one-on-one game where the players compete for passing mice's affection! How do mice gain other mice's attention? By waving at them of course! 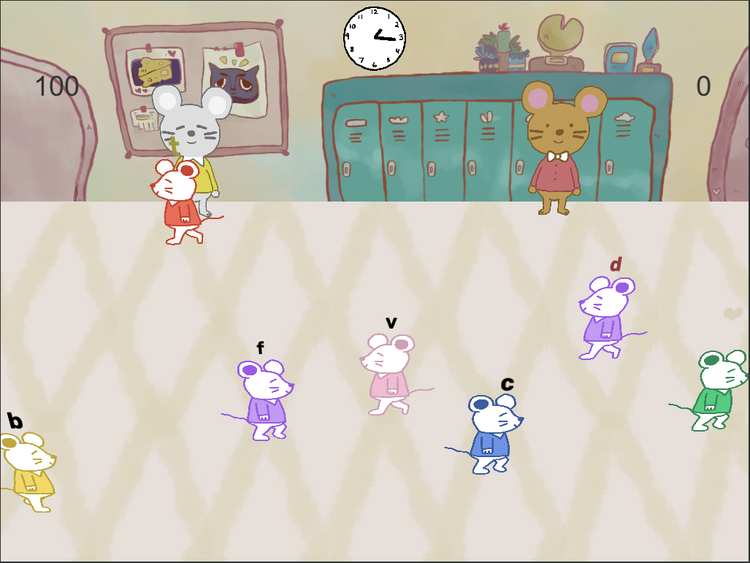 Each player can only wave at mice directly in front of them. To wave, the player must press the key indicated on top of the passing mouse. The player who waves the most at any given mouse will win points. The catch? Both players are playing on the same keyboard and must fight to control the keyboard.